From the beginning of 5.1 up until now. It was a long, fun grind full of a wide assortment of teams. I owe it in part to Audrey behind me for giving me my quest every week as added incentive, and Draven to my right there for being part of a couple of my major compositions during the road to 1000. 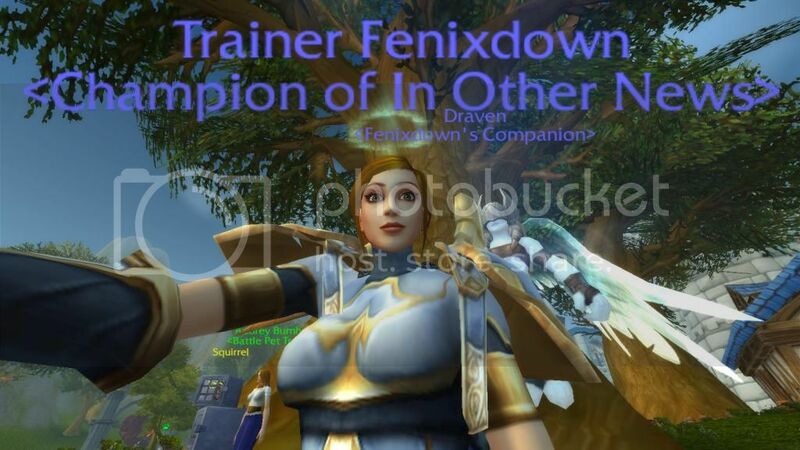 The Trainer title takes a lot of work...grats ! Tekulve2012 wrote: The Trainer title takes a lot of work...grats ! Thanks! I went through a ton of compositions and counter comps along the way. The last ten wins I got today were with an AoE team since I was facing a lot of tank/swap comps. The list of pets I used was always ever-evolving, but it started off with Netherwhelp, Darkmoon Zeppelin, and Disgusting Oozeling. Then as new pets came along, and new comps, the list just grew and grew until I found myself actually getting a bit creative with teams again (just like my original!). The most recent team I usually liked to use was Chi-Chi, Bonkers, and Bronze Whelpling. So many ways to mitigate damage and so much speed! I know this much for sure. This title isn't going to be changed anytime too soon. This is one I'm really, really proud to have earned since there's never been a point where people would try to say it's "irrelevant", like with raiding titles. As for the 5,000 wins achievement....well, we'll see if I have the resolve for that one. LOL! Whoot 1000 wins! I'll get there... someday. In the meantime, grats! Celya wrote: Whoot 1000 wins! I'll get there... someday. In the meantime, grats! LOL! That's how I feel. I'm above 250 wins and below 300 wins and will get there ... someday.